She is 18 months now and she is starting early. 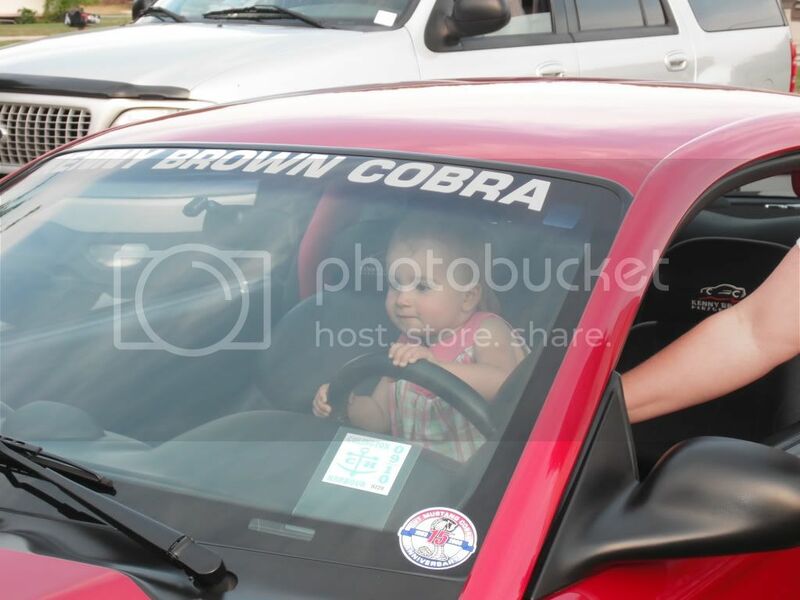 Put her in the cobra and she did not want to get out. She threw a big fit trying to get her out. 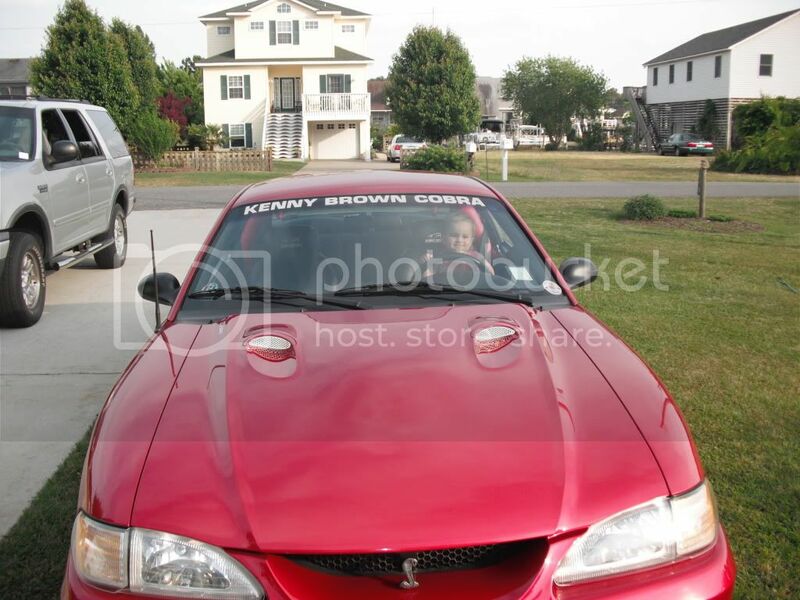 Can't wait till me and her can go cruising. Should be fun. The first one looks like she is really into it. Dude...like you are going to have to keep that car a while, looks like she is getting attached to it. Nice shot of the 15th anniversary decal. Yeah, Every time she walks by it in the garage she wants to open the door. 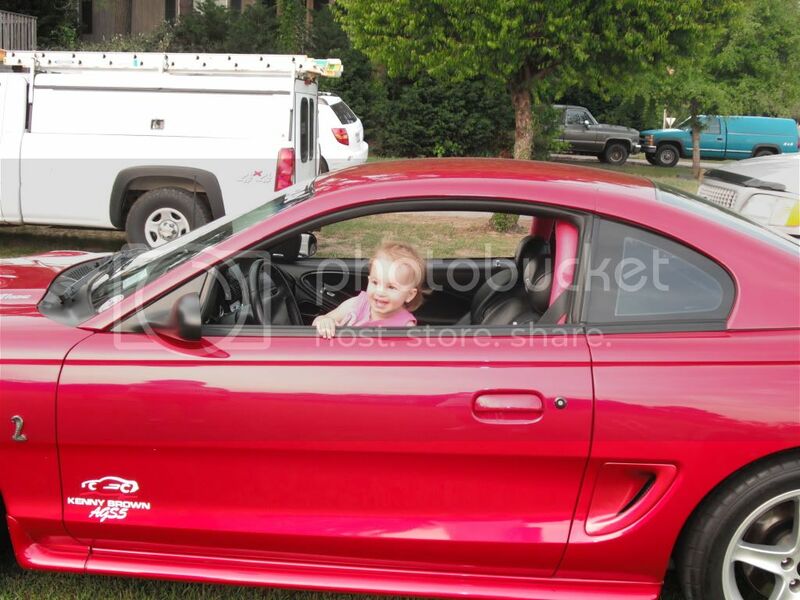 Can't wait till she says burn rubber or get on it dad. 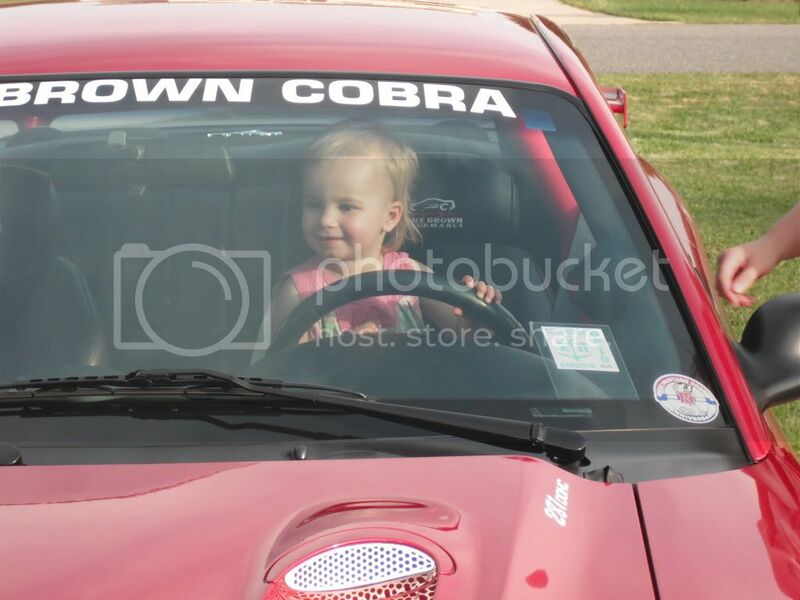 You're lucky, my daughter doesn't even want to drive the Cobra. 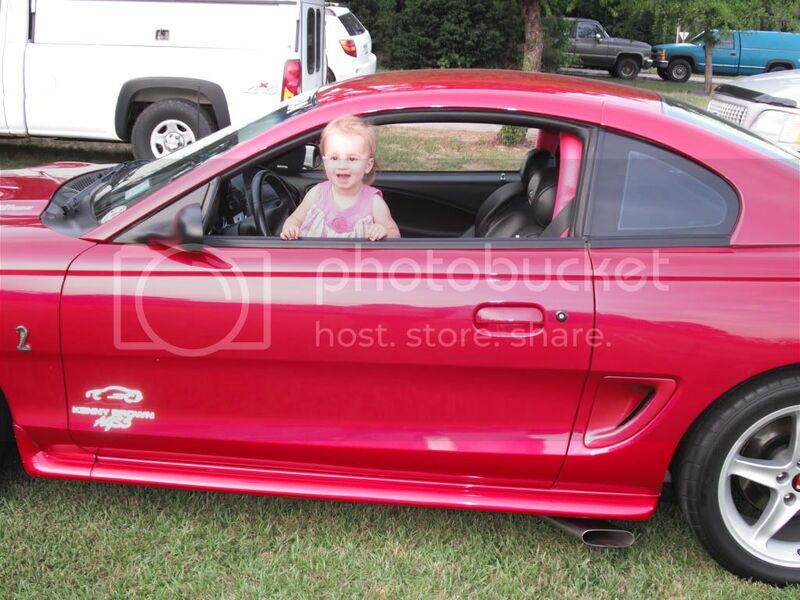 Says it drives like a truck compared to her SVT Focus.